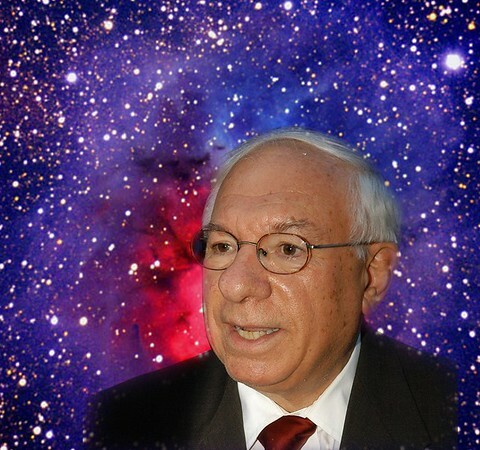 All of us at FAR would like to wish Dr. Yervant Terzian, world-renowned astrophysicist, philanthropist and our organization’s dear friend and partner, a very happy 80th birthday. We join many others around the world in commemorating the extraordinary life of Cornell University professor who, last year, received NASA’s highest honor of the Distinguished Public Service Medal. Dr. Terzian is founder of our Armenian National Science and Education Fund (ANSEF), a project that ultimately promotes scientific innovation by giving the unique opportunity to Armenian scientists to carry out research in their home country through the support of annual grants. He continues to be a dedicated and steadfast leader of this project. As the Tisch Distinguished University Professor at Cornell University’s Department of Astronomy, his awards and accomplishments are remarkable and span beyond academia. In 1984, he received the Clark Distinguished Award for Excellence in Teaching. In 1996, he was appointed Director of NASA’s New York Space Grant Program to enhance science education. In 1990, Dr. Terzian was elected foreign member of the Armenian Academy of Sciences. In 2001, he was chosen as a fellow for the American Association for the Advancement of Science and, in 2002, he was elected chairman of the U.S. Consortium of Universities and Institutes to construct the Square Kilometer Array giant radio telescope. Dr. Terzian was also a research professor with the National Astronomy and Ionosphere Center, and member of the International Astronomical Union; the International Union of Radio Science; the American Astronomical Society; and the Hellenic Astronomical Society, among others. He has been awarded several Honorary Doctor of Science degrees from the University of Indiana (1989); Yerevan State University (1994); the University of Thessaloniki (1997); and Union College (1999). In 2004, he received the Distinguished Alumni Award from the American University in Cairo. The author or co-author of more than 220 scientific publications and editor of six books, including Carl Sagan’s Universe, he was also science editor for The Astrophysical Journal from 1989 to 1999. His personal investment in maintaining the integrity of Armenia’s scientific, technological and scholarly research communities through ANSEF is evident. “I hope you feel as proud of these fellow Armenians as I do,” he has said about ANSEF grant recipients. On this landmark birthday, all of us at FAR thank you for your dedicated partnership and vision. Happy, happy birthday, Dr. Terzian.